For this reason, O'Neil is no more than a delegate of the royal leaders of this private organization. He is in charge of presenting to the Committee on Foreign Relations of the U.S. Senate the actions that must be taken to change the political course of Venezuela, using unconventional war tactics, as outlined by the interests of the great economic powers represented by CFR. The audience begins by reporting, without solid and reliable figures, that the Venezuelan population currently lives on par or worse conditions than the citizens of Bangladesh, Republic of Congo and Mozambique, countries brought to extreme misery by private and irregular wars which sought to plunder their natural resources. Creating a (media-distorted) image of the humanitarian crisis in Venezuela is the starting point for the rest of the plan. Painting a picture of a country on the verge of collapse is the alibi. During the presentation, O'Neil said that the PDVSA is on the brink of default, omitting that the state oil company has continued to pay its external debt payments in honor of its international commitments. 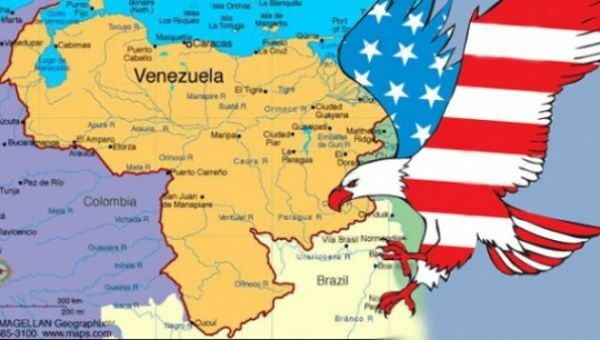 Before proposing these options to the U.S. government, the CFR delegate says that Venezuela is strategic for U.S. interests in the hemisphere, and that a hypothetical collapse in oil production would hurt the U.S. (because it would increase prices), while also affirming — without any proof — that the incursions of the Zetas and Sinaloa drug cartels in Venezuela poses a threat to the region.